At Dscoop7, I ran into an old friend of mine, Bob Raus, now working for HP as the Americas Category Manager for HP SmartStream Workflow and Solution Partner Programs. He shared this great story with me and I thought our readers would enjoy it. The story really starts today and loops us back to 1987 with a series of serendipitous events. Shai Lior, long-time HP Indigo employee, was recently appointed as an HP Fellow, one of only a handful of people that have achieved that recognition and the first from HP Indigo. Bob Raus sent Lior a congratulatory note and learned that they had both been affiliated with DX Imaging, a DuPont/Xerox joint venture, back in the late 1980s—Raus as a new college graduate and Lior as the technical liaison to DX Imaging from 1987 to 1991. So what was DX Imaging? Comprised of nearly300 DuPont, Xerox and new hire employees, DX Imaging was a DuPont/Xerox joint venture that existed from 1987-1991. The company was formed to create an Electrostatic Master Proofing (EMP) offset proof press utilizing electrostatic imaging and liquid-ink technology based upon technology developed by Benny Landa. This same technology is the foundation of HP Indigo digital printing presses today. Keep in mind that this occurred six years before Landa announced the Indigo press at IPEX 1993. The EMP machine developed by DX Imaging produced “proof prints” of offset plate color separations. Printed within 10 minutes versus several hours on an offset press – and at the equivalent of 2400 dpi - the prints were high quality, accurate, full-color printed proofs of offset jobs. The proof was typically reviewed and approved by the end-customer (advertising agency, etc.) before a full offset press-run was sent to production. What was really amazing is that Raus still has sample prints from the pre-production product, which he and his father (also a DX Imaging employee) have kept over the years (and through five moves!). 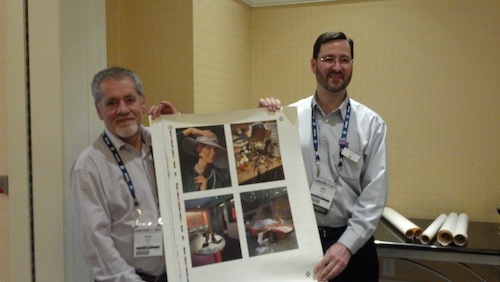 Bob brought several of the prints to Dscoop7 at the request of HP Indigo GM Alon Bar-Shany. I was able to see these prints, and the quality was absolutely amazing, especially considering their age. They are still vibrant and beautiful, no fading or yellowing or any signs of aging. At the closing Dscoop7 cocktail reception, Raus caught up with Bar-Shany to show him the prints. Bar-Shany looked at the images and heard the story about DX Imaging from Raus, and then said, “Wait here.” The HP Tech Con conference had serendipitously started earlier that day – at the same hotel as Dscoop7! There are only two ways to attend Tech Con. 1) be chosen to present a paper, and 2) be a research fellow. As HP's newest research fellow, Shai Lior had arrived at Tech Con a few hours earlier that same day. . After a few minutes, Bar-Shany returned with Lior, and a quarter-century loop was closed, as you can see in the image below, with Raus and Lior holding up one of several sample prints. On the Xerox site, there is a bio of Dr. James Larson, who was a founding member of DX Imaging. That fact is just mentioned in the bio, with no particular significance attached to it. A 1987 news article from the Philadelphia Inquirer touting the fact that this JV was looking at locations in Chester County, Pennsylvania, and expected to employ 200 people within a year (as Raus points out, it grew to nearly 300). James E. Shapiro, former President and CEO of DX-Imaging has written several books about joint-ventures, including “And Then the Vulture Eats You” from 1991. Ultimately, the project was abandoned. The companies were reluctant to spend an estimated $30 million to build the production plant that would be required to bring the product to market. Now circle back to today. What do you suppose might have happened had DuPont and Xerox brought EMP to market back then? There are so many possibilities … HP Indigo may never have seen the light of day; Xerox may have brought liquid toner to a broader market and along with it the first “digital offset press.” Kodak Approval and MatchPrint, along with some of the other early digital proofing solutions might not have reached the level of market share they ultimately did. Is this a case of lost opportunities or is it something that really doesn’t matter? It’s all speculation, of course, but it is a fascinating story, and the dated print samples validate the story—and the quality of the imaging, which could probably not have been achieved by any other digital technology back in its time, is amazing. Perhaps the outcome of DX Imaging, even though it never brought a product to market, spurred Landa on to ultimately bring Indigo presses to market. And now, of course, Landa is back. 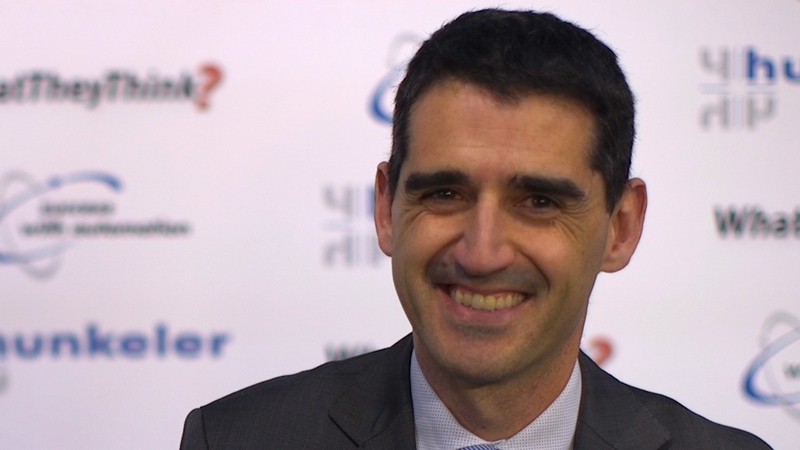 We hope to speak with him at drupa 2012. 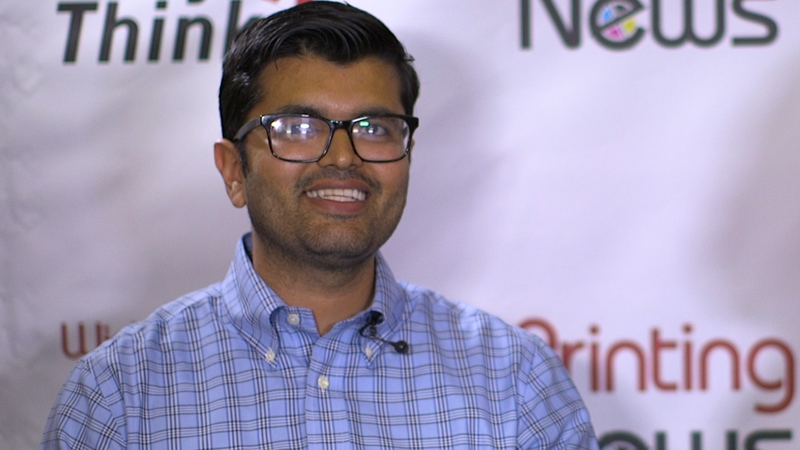 We will be attending his pre-show press conference on May 2nd, where he will unveil yet another new technology, the Landa NanoGraphic Printing process, which he claims is a game-changing technology for mainstream commercial, packaging and publishing markets. Will it be? I guess we’ll find out. I hope Raus and HP find a place to preserve this little piece of history so that it can be more widely available and not lost to time! Cary.. great story.. it always fascinates me as to how many excting projects there are going on, that never really see the light of day.. How creative we were and are as an industry. There is related aspect to this story. Benny also had a relationship with Addressograph-Multigraph and four roll-fed presses were built using his liquid toner technology. The few users who acquired them used them for years for direct mail printing. The machine never appeared at a trade show because of the venting required. And today, Benny continues to amaze, with a technology that creates a whole new category for (digital) printing. Cary nice story. Suggest you consider writing about Kodak Signature Proofer in a future article here. Kodak made a liquid toner based system to do the same things and did make it to the market. Coulter Proofer Mike Bruno helped introduce to graphic arts was liquid toned and STORK built hardware and did make it to printuing plant floors. Liquid toners can travel easily can cool cylinders and offer toner speed. Enjoyed seeing DX discussed in your article, good job. An intriguing story of side-stepping history for an invention involving two such worthy companies and also early fame for these fellows. 'What If..' imaginings are always spell-binding. Unfortunate, although Benny Landa entertained us with great passion during the unveiling (literally) of Indigo at IPEX in 1993. Demharter also indicated that when DuPont licensed the Landa patents, there was a clear restriction that prevented the company from using those patents for any printing applications; it could only be used for proofing applications. That eliminated the possibility of DuPont using these patents to develop any kind of digital press. The license also indicated that if DuPont abandoned the project, they could either pay a hefty fee or return all intellectual property that was developed in the venture; DuPont chose the latter. 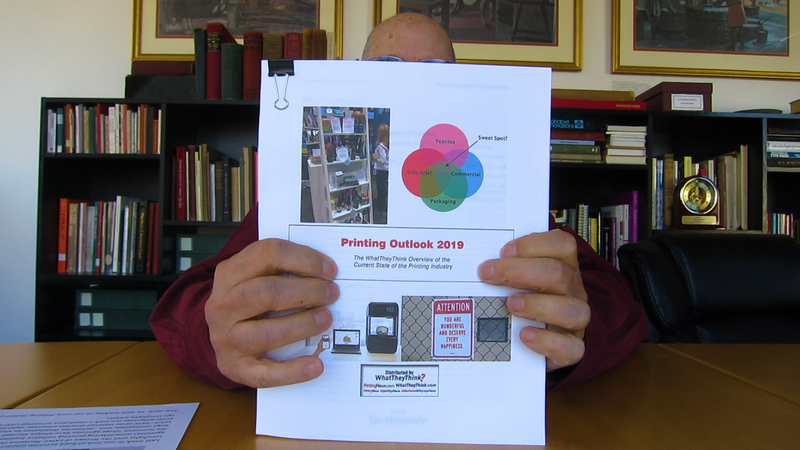 Demharter speculates that Xerox’ interest may have been in the development of a liquid-toner-based copier, but indicates that the licensing agreement would have prevented them from using the patents to develop a digital printing machine. It is always fascinating to look back 25 years with foreknowledge. Back then, DuPont was desperate to replace a very profitable revenue stream in proofing materials in the face of new competitors and a changing marketplace. Xerox was trying to monetize an significant investment in Benny Landa. Benny was continuing to evolve his imaging technology. Three very different objectives given to DXI to attain. Some good images were made. Some good technology executed. But proofing isn't printing and cross-company projects have a set of risks all their own. Xerox and DuPont cut their losses and Benny moved on, his patent portfolio and bankroll none the worse and ready for his next act which turned out very well. I am anxious to see Landa'a following act this drupa. I was thrilled to see your article about DX Imaging. Those of us who worked there knew we were involved in something special. 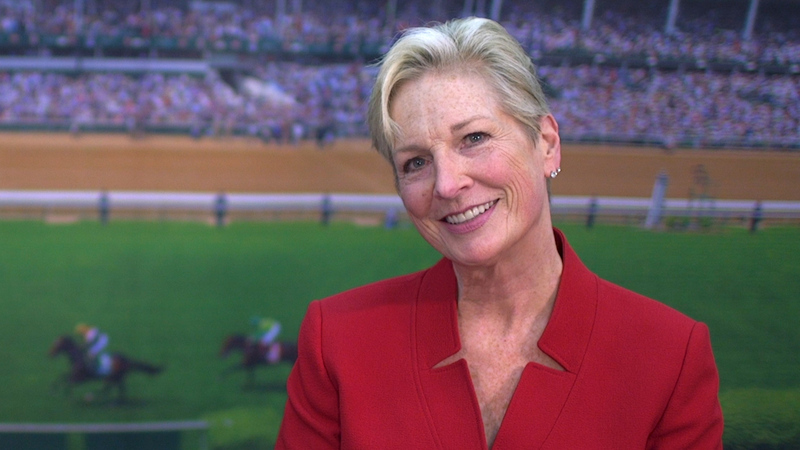 Perhaps you would like to hear about DXI from the DuPont perspective. Both Xerox and DuPont had bought licenses to the Landa toner technology from Savin. DuPont owned the proofing rights, had some experience with toners (think Cromalin), but knew little about electrostatic equipment: hence, the Xerox connection. 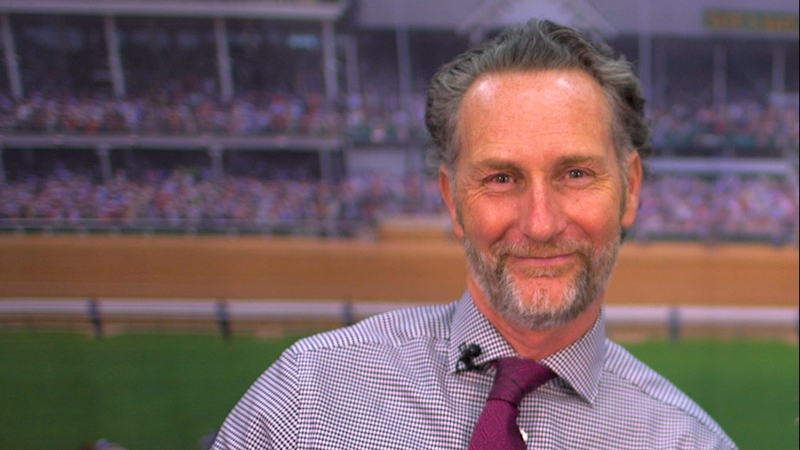 A profile of the DXI DuPont team was written by Nils Dailey, a protege of Gifford Pinchot, who wrote about innovative, internal teams in his book, "Intrapreneuring". The team was very productive; the toner group added numerous patents that extended and expanded on the Landa technology; The EMP boys designed a machine from scratch that was state-of-the-art for many years, and began the development of a high resolution digital proofer. And, our business team showed the EMP system at Drupa to high praise and sincere international interest. All was not roses; Xerox was a sound equipment partner, but some of their practices didn't help. Xerox allowed qualified employees to bid on positions in other development projects. That meant we had a steady turnover of Xerox personnel. Personally, I trained a small generation of Xerox copier people in graphic arts, which I'm sure contributed to some of their later color printer products. Although the DuPont DXI team was under one roof, we never co-located with Xerox people, who remained in New York. Meetings, phone conferences, etc., were not enough. We missed the informal creativity around the water cooler. Pinchot's work, and my own business experience, showed that co-location had both real and perceived advantages in teamwork and productivity. DXI ended when Xerox was unable to meet its part of the financing obligation. We understood at the time (a recession was underway) that they nearly had to declare bankruptcy. Only a last-minute bank commitment saved them from that ignominy. DuPont was unwilling to handle the entire capital commitment in such uncertain times. Our teams were dispersed to other electronic imaging projects. Thanks for reminding people that some great ideas may not have made the light of day, but that doesn't mean they had no value. Wow. Great background here Efram. I didn’t know much of this and it’s good to get a different perspective on the ending. However, the passion, creativity, and spirit is consistent for sure. One thing I don’t understand is this statement: Although the DuPont DXI team was under one roof, we never co-located with Xerox people, who remained in New York. We had well over 100+ people from Xerox at DXI in Lionville PA. There were some other tertiary teams from both companies still at the respective HQs, but I was in manufacturing at the time and did not deal with them.